From Schubert, Telemann, Turraschmiedt, and others. 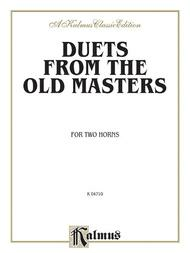 Brass - French Horn Duet; Duet or Duo; Masterworks; Solo Small Ensembles. Kalmus Edition. Masterwork. Book. 28 pages. Kalmus Classic Edition #00-K04710. Published by Kalmus Classic Edition (AP.K04710). 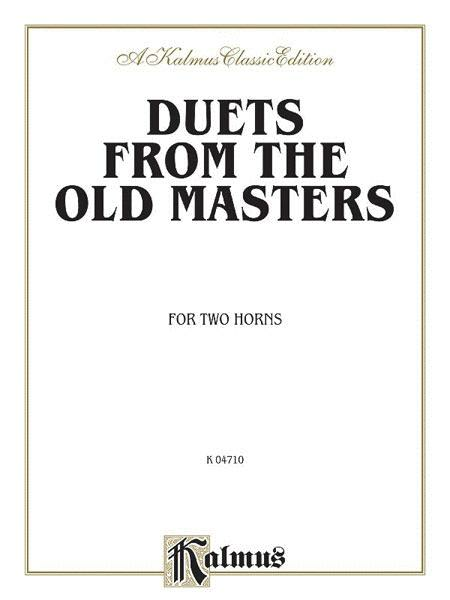 A collection of duets, for French Horn, composed by Schubert, Telemann, Turraschmiedt and more.